The automotive accessories industry is ever-changing and expanding with new designs, tech and terminology. As the ARIES product line continues to expand as well, we want you to stay fully informed and knowledgeable about our products. The ARIES Auto Accessories Guide offers helpful information associated with our products and the automotive industry. 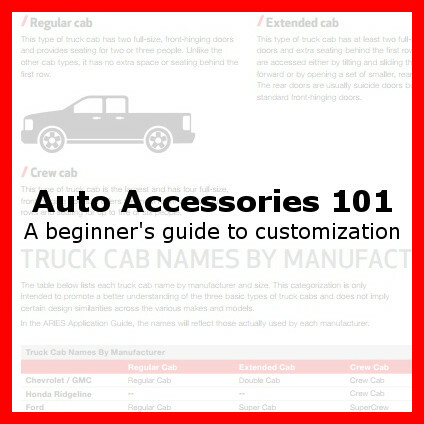 Auto Accessories 101 is a basic guide to vehicle customization, laying out the differences between our products and providing details about various concepts in the industry. 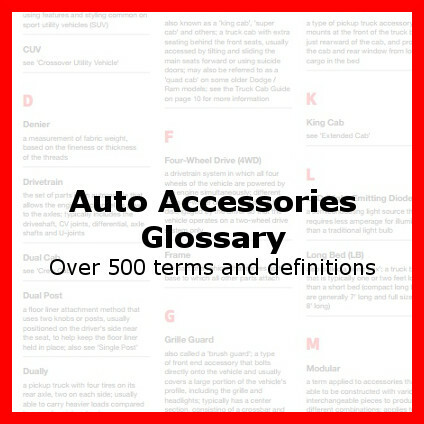 The Auto Accessories Glossary offers clear definitions to terms that may be generally unfamiliar outside of the automotive industry. Tap one of the sections below to get started!